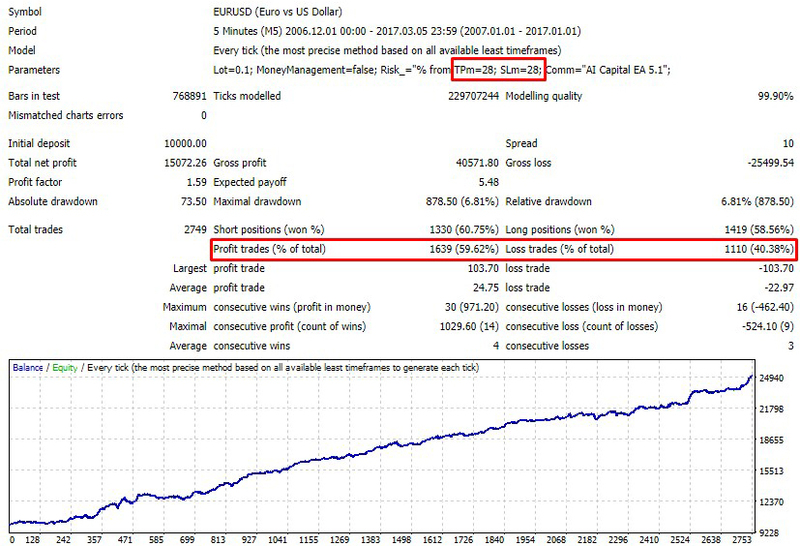 The metrics above are based on live trading results and accounts whit different settings for risk or combination of our systems in portfolio. 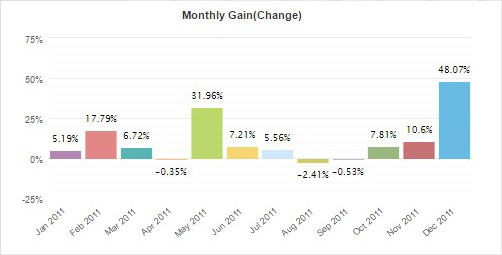 The main driver and core of the accounts is always the EURUSD system presented on this website. 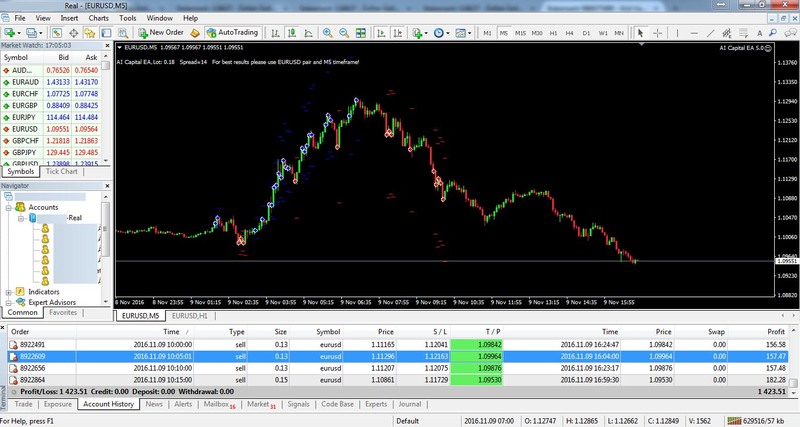 Since we don`t do demo trading, and our clients have the right to add and withdraw funds any time they want the third party software like MyFXbook can distort and change in some extend the performance metrics on some of the accounts. 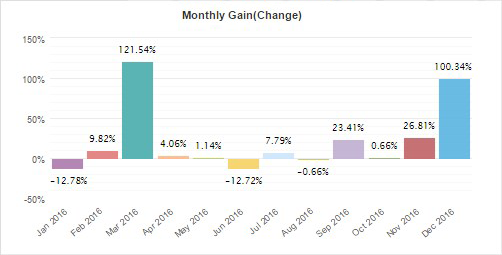 The main purpose of the data above is to show that we have years of profitable trading experience and our systems work in live trading environment. We are constantly developing and improving our systems in order to ensure long term profitability and robustness for our clients. Backtest is a trading (simulation) that is made on past data. Our backtets include spread and interest rate swap. 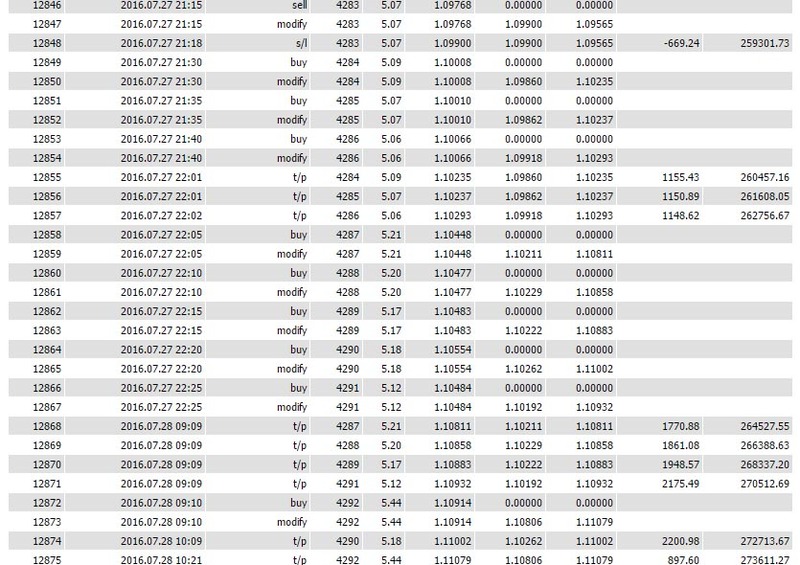 The results match live time trading with real account with very small differences caused by real market execution. Relative and maximum drawdown are the most important parameters in a trading system. 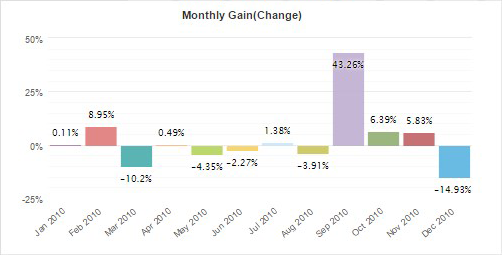 They show the percentage losses during the most unfavorable conditions for the period of the backtest. 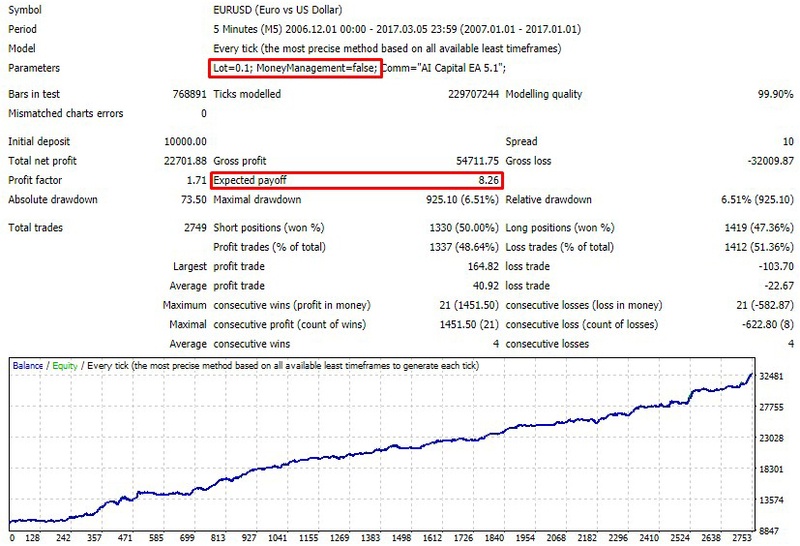 Our Forex robot can be fine-tuned by setting different risk parameter and directly influencing the drawdown parameters. With AI Capital's robot, profits grow exponentially. This is due to our specially developed money management system, which is integrated into its code. This means that longer periods lead to significantly higher returns. 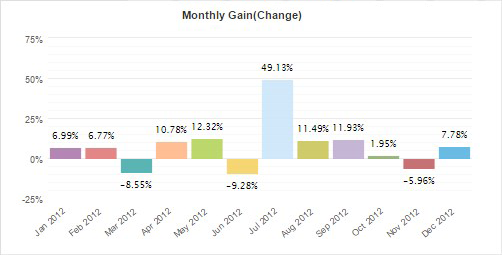 Below you can track the monthly capital return over the past 10 years with initial capital 10 000 euro . This test is conducted with a constant lot size - 0.1 (no money management) and with account currency US dollar . 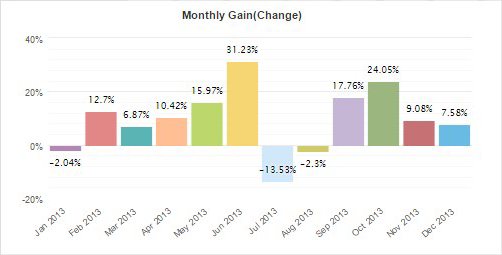 Given that the instrument being used is EUR / USD, every dollar of the profit or loss is equal to 1 pips. Our test includes 1 pip spread and interest rate swap. The expected profit is 8.26. 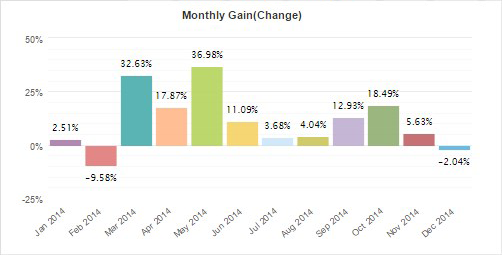 All this means we have an average profit of 8.26 pips for a 10-year period with 2749 deals (including losers). 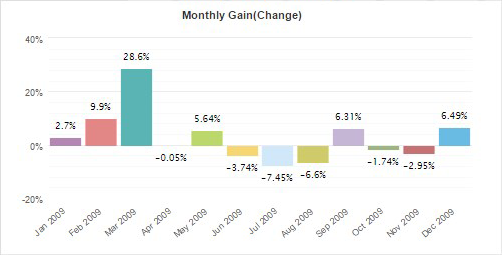 This shows that even under significantly worse trading conditions (from standard slippage and standart spreads), our system still remains profitable in the long run. Like the resilient system test, this is test goal is not profit, but to prove the qualities of our system. The test is executed without money management and with a constant lot size. Considering that we use a positive risk / reward ratio (the take profit is always at a greater distance from the opening price than the stop loss) in our normal trading settings we have less profitable trades than the losing ones. In this test, the take profit target is equal to the stop loss. 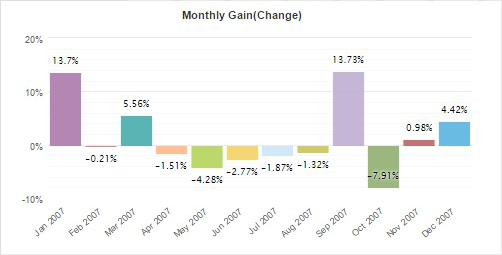 You can note that even if the system is not so efficient, it generates a steady return, and this time profitable deals are 19,24% more than losers (including 10 pip spread and interest rate swap). The United States 2016 presidential elections are perhaps the most controversial and significant in the American history. This event was expected by all market participants. Most of the brokerage companies and liquidity providers around the world have significantly increased their margin requirements. All reputable news agencies reported significant market movements in all asset classes. "Massive FX Volatility" and "Stock Markets Rollercoaster" were the headlines of the most popular financial websites. Despite the dangers and expected bad trading conditions (high spread, high slippage, increased margin requirements, extreme volatility, big moves), we decided to put our system to a stress test. 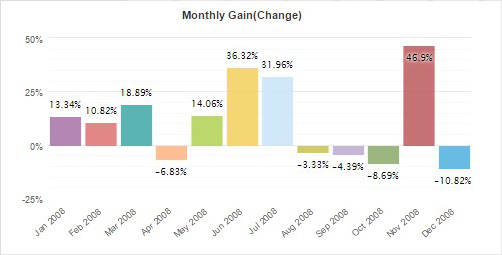 Monte Carlo analysis or simulation is a technique that can help you estimate the risk and profitability of our trading strategy much more precise and realistically. The basis of the method is running the same simulation a number of times, each time with small random changes. They could be: Changing trades order, Resampling and Skiping trades. The higher the number of repetitions, the bigger is the statistical significance of the results. Monte Carlo simulation of AI Capital is conducted with 1000 random simulations and a randomly skiped 5% of the trades. In the tables you can learn about the change of the drowndown. In the Exact variation it only randomly shuffles order of the trades. This doesn't change the resulting Net Profit, but it is very useful in examining different variations of Drawdown that can be a result of different order of trades. The confidence levels - they tell us with what confidence (probability) we can expect the resuts to be same or better than in a respective line. In more advanced Resampling variation of this test the trades are not just shuffled. Instead the program randomly picks total number of trades from the pool of all trades in history. The difference is that in this method the list of trades might not be the same. It can pick one trade multiple times and some other trade might not be picked at all. 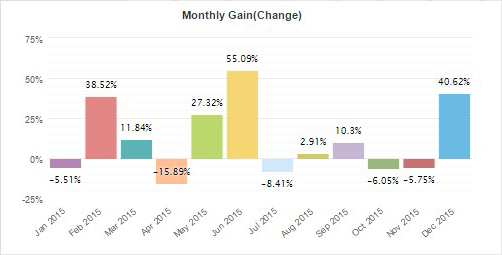 This method is quite extreme and will usually change both Net Profit and Drawdown.